As the idea of organizational sustainability continues to expand, stakeholders require that their leaders cultivate strong values and excellent personal integrity, exercise wisdom, and embrace a willingness to make difficult choices. Savitz and Weber (2006) purport, that successful leaders must also foster an environment of openness and transparency to maintain the trust of their stakeholders (Savitz & Weber, 2006). To achieve this for example, there are a number of frameworks business leaders can employ to measure their organization’s structural and ethical behavior. The focus of this research will examine two of those frameworks: the Balanced Scorecard and the Triple Bottom Line models. In addition, the study will analyze the components that characterize the two systems and explain how they are used to enhance corporate ethics and business performance. To further comprehend these concepts, this research will analyze how organizations incorporate these frameworks to develop business ethics programs that drive ethical decision making. To illustrate these ideas, this study will focus on two organizations as examples and look closer at how they applied these frameworks into their corporate culture. The findings of this research will conclude that organizations measure their structural and ethical behavior to preserve stakeholder trust because they are the effective systems that help them establish an ethical culture, drive ethical decision-making, improve performance outcomes, and support an environment that cultivates ethical behavior. Leaders want their organizations to experience success and longevity while cultivating a climate that drives ethical decision-making. In addition, stakeholders want to feel confident that their organization is operating without causing harm to others and is not engaged in fraud or ethical misconduct. To appease stakeholders, leaders can devise methods to measure performances and devise systems to monitor the various components. One model leaders incorporate to measure organizational behavior is called the Balanced Scorecard (BSC) management system. Kaplan and Norton (1996) state that the BSC model helps translate an organization’s vision and strategies into a coherent set of performance measures. There are four components of the scorecard: financial measures, customer knowledge, internal business processes, and learning and growth. These mechanisms serve to: (a) create balance between short-term and long-term objectives; (b) help achieve desired outcomes and control the performance drivers of those outcomes; and (c) monitor and manage hard, fact-based or objective measures and softer, more opinionated or subjective measures (Kaplan & Norton, 1996). They also provide an accurate understanding of an organization’s objectives and the methods for achieving those goals. The BSC also construes an organization’s mission and strategies into a more comprehensive set of performance measures that provide the framework for strategic management systems. Ferrell et al. (2013) purport that this can be accomplished by providing various devices that track financial results while monitoring the progress of an organization’s growth capabilities (Ferrell, Fraedrich, & Ferrell, 2013). In short, the BSC focuses on all the elements that can contribute to organizational performance and outcome success that encompasses the financial, consumer, market, and internal devices. The more tuned balanced scorecard (BSC) concepts become, the more corporations embrace them. 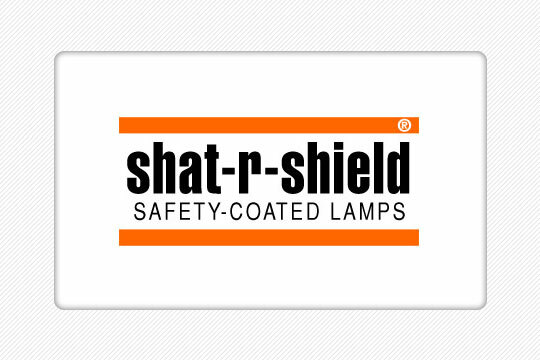 One organization for example, that has been identified as a company who operates under the BSC framework is Shat-R-Shield (SRS) Corporation. SRS is a manufacturer that specializes in plastic shatter-resistant lamps for the food and consumer products processing and packaging industries. Perry (2010) contends that SRS is driven by Karen Ponce, the CEO, who has adopted a work ethic that her job is to work on the business, not in the business (Perry, 2010). As a result, the organization went through rigorous BSC training and, in doing so, discovered how successful they could be because of the effective measuring strategies implemented that monitor organizational outcomes. Although the transition to a BSC corporation was challenging, results concluded the benefits of becoming a measurement management business outweighed their efforts. By the time the organization made the full transition, they were able to incorporate three major strategic initiatives which helped them soar to new heights. As result of becoming a BSC organization, they optimized business systems, improved management behavior, and enhanced product development. Effective leaders are always looking for methods to improve business performances and improve ethical behavior. In addition, the pressures and demand for measurement of social performances gave rise to social and ethical auditing, accounting, and reporting (SEAAR). Ferrell et al. (2012) posit that the Triple Bottom Line model is another effective ethical auditing system that provides a framework for corporate leaders. This model considers the social, environmental, and financial impacts that affect corporate decisions (Ferrell, Fraedrich, & Ferrell, 2013). Leaders that want to increase their commitment to corporate social responsibility (CSR), sustainability, and ethical conduct engage their organizations in triple bottom line reporting as a means to confirm that their directives and investments support the organization’s values and desired outcomes. Many leaders believe that an organization’s overall success goes hand in hand with social and environmental achievements. Boatright (2009) contends that the impetus for triple bottom line accounting is derived from several sources. For example, federal guidelines now require corporations to measure all avenues of their performance. They must evaluate the benefits of their CSR programs to ensure the appropriate devices are developed and incorporated to demonstrate the value of their CSR activities to stakeholders (Boatright, 2009). In addition, they are required to incorporate several influential rating organizations that rank the company on social performance. The Dow Jones Sustainability Index is one example of a prominent ranking system that provides this service. The Global Reporting Initiative (GRI) has also provided a framework that organizations have adopted to report their social and sustainability progress. The main objective of GRI is the disclosure of environmental, social, and governance performance. Businesses use the GRI to design standard systems of reporting nonfinancial outcomes in a manner that recipients of the reports can comprehend easily. The benefit of incorporating the GRI is to provide the opportunity to compare an organization’s sustainability with that of other companies and offers them the possibility of boosting their status in the eyes of their stakeholders. 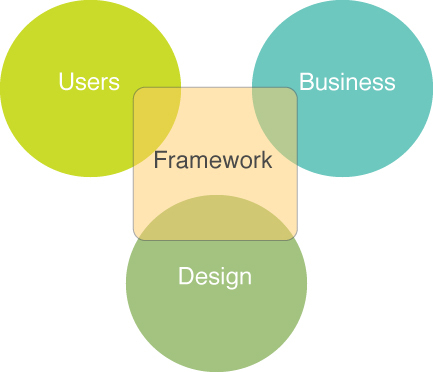 Coffman and Umemoto (2010) postulate that the triple-bottom-line framework is a sustainable model that presupposes a bottom-line should be achieved for each component – environmental, social, and economic with equal emphasis on each (Coffman & Umemoto, 2010). Corporations that operate with the triple-bottom-line framework will most assuredly gain the support and confidence of stakeholders. An increasing number of organizations are employing CSR and are engaging in environmental and social stewardship practices. These organizations are referred to as benefit corporations. Research from the Worldwatch Institute (2013) suggests there are currently 200 benefit corporations, none of which are publicly traded. The outdoor apparel and accessory firm Patagonia, for example, is recognized as one of the largest benefit corporations, reporting annual sales of $540 million for the fiscal year ending April of 2012 (“Companies Increasingly Pursue Triple Bottom Line,” 2013). Patagonia’s advocates contend they mold a triple bottom line into their DNA. Incorporating this strategy has freed them from concerns of litigation and ramifications that result from ethical misconduct. Gunther (2013) contends Patagonia conducts business in accordance with their mission statement: build the best product, cause no unnecessary harm, and use business to inspire and implement solutions to the environmental crisis (Gunther, 2013). To demonstrate their ethical behavior, Patagonia recently engaged in a partnership with a network of Argentine ranchers and The Nature Conservancy. Their objective is to build a sheep-grazing business to produce wool that will not only protect, but also restore regions of the Patagonian grasslands. The business practices this organization displays is a prime example of a corporate culture whose decisions and business operations consider the social, environment, and financial components that impact stakeholders. Corporate social responsibility has value only if the organization actually engages in the benefits they claim to have in place. Companies continue to shift from the framework and practices outlined from the industrial age and transiting to conform to the revolutionary age of competition for information. As a result, the information age climate requires new capabilities to achieve competitive success. Kaplan and Norton (1996) profess that the ability of an organization to assemble and develop its imperceptible assets has become far more pivotal than capitalizing on physical, tangible assets (Kaplan & Norton, 1996). The findings of this research conclude that without ethical models to measure organizational structure and ethical behavior, leaders will not have the support systems in place to detect and avoid misconduct efficiently that ensures stakeholder trust that will guide them to success. Kaplan, R., & Norton, D. (1996). 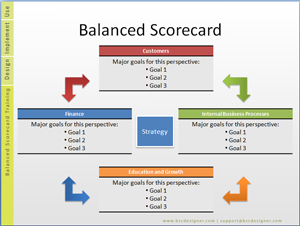 The balanced scorecard: Translating strategy. Boston, MA: Harvard Press. Savitz, A., & Weber, K. (2006). 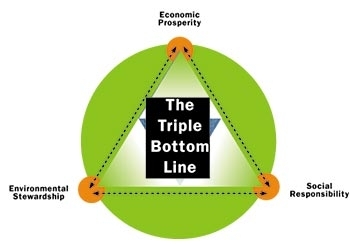 The triple bottom line. San Francisco, CA: John Wiley & Sons, Inc.
Reblogged this on C-Suite Mentor©.